Do you have a smartphone with endless fancy apps, widgets and special features? Or maybe you yearn for the good old days when things were simpler? 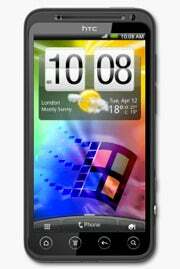 If so, one developer has managed to bring operating systems of yore to HTC's Evo 3D. XDA-Developers forum member mnomaanw shared a way to get Linux--along with various old versions of Windows--to run on this Gingerbread-powered Android smartphone. His method will let you run either Linux, Windows 95, Windows 98, or Windows XP on the HTC device, allowing for a bygone desktop experience on your smartphone. Getting old PC operating systems running on the 2011 smartphone is a fairly straightforward process--you just need to load the required software onto an SD card, tinker with a couple of files, and then run the Android application package (APK). Once done, just let the file boot up and the process should be complete fairly quickly--one XDA forum member detailed that the entire booting process took just 17 seconds. With the file booted you'll be greeted with a faithfully emulated desktop of yesteryear. Running Windows 95 reportedly works well, where the HTC Evo 3D's buttons and touchscreen can be used to control simple functions, and the onboard SD Card acts as the My Computer folder--old DOS and EXE files are even said to work. The HTC Evo 3D's HDMI connectivity can also be put to good use here for added fun: classic Solitaire and Minesweeper on the big screen, anyone? If you want to give this a go, you can find instructions over on the XDA Developers forum. XDA members are also looking at how this process can be successfully applied to other Android devices, including the Kindle Fire. If you give this a try, don't forget to backup your device first, and proceed at your own risk!